Everyone is talking about home automation and making things easier. Home automation comes in many different forms. The experience and setup are going to be different for every individual user. But, how can you use your home automation to make your holidays safer and easier? During the holiday season, people usually find themselves running about like a chicken with their head cut off. Many of the everyday tasks at home can be overwhelming. But, if you have your home automated, a lot of those menial tasks can be done for you without taking time away from the tasks that you need to complete. During December, the incidence of burglaries and home break-ins is at an all-time high. You’re out and about a lot more. There are more high-ticket items in homes because of holiday shopping. This creates an environment for burglars that makes it the perfect storm if you will. How can home automation increase your safety during the holiday season? You can set up timers on your lights and create scenes to automate when lights in various parts of the home are lit. A well-lit home is much less likely to be burglarized than a home that is not lit up. A lit up home creates the image that someone is there. This is especially true when different lights are lit, and the brightness level changes from time to time. This is something that not as many people know about but can be integral to keeping your home safe during the holidays. There are smart locks to automate making sure your doors are locked tight and properly. And many smart locks use smart keys. If your smartphone app is configured properly to your lock, then your phone becomes your key! No more fumbling at the front door to find your keys while juggling a lot of packages. This will make you safer. Many muggings and purse snatchings happen while someone is rummaging through their bag for their keys. Using smart locks on your home is going to limit this activity and make you less likely to be a victim. 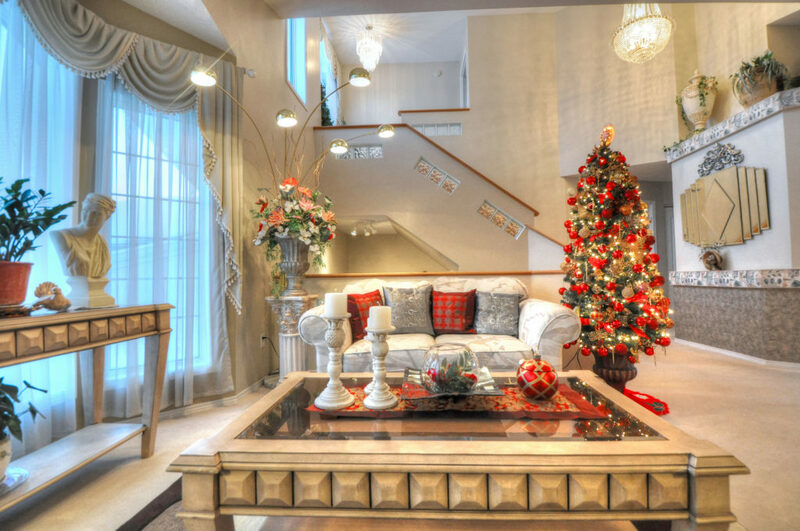 Even your holiday entertaining can be aided by home automation for the holidays. There are a few things you can do to streamline the holiday entertaining process as well. 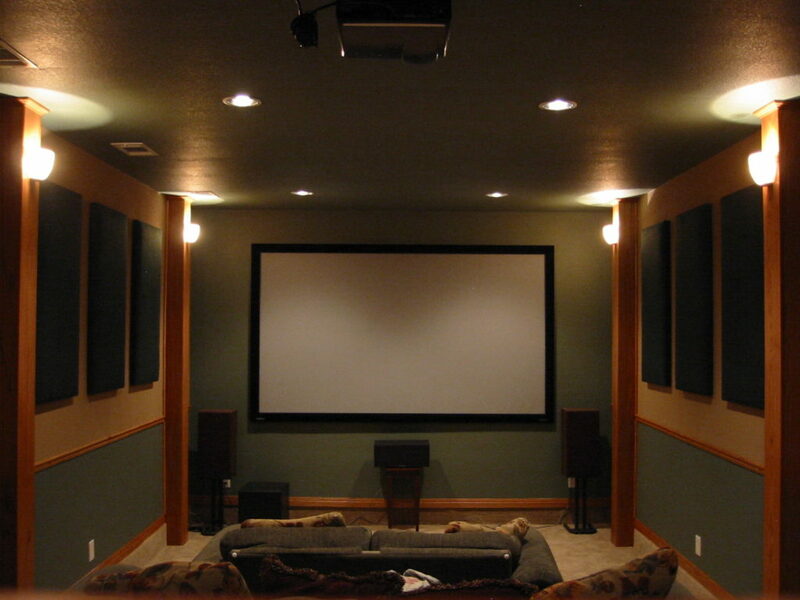 There are several great home theater systems on the market. These allow you to automate what music is playing where in your home, or even outside! There are systems and setups that will allow you to broadcast holiday music to the outside of your home, and you can even set your holiday lights to flash and twinkle in time with the music. Do you go to bed earlier than you would like to have your holiday lights turned off? Have you ever wished there was a way you could leave them lit up for a while, but then have them not stay on all night at the same time? Well, with home automation, there is a way that you can do that, too! You could set up a series and system of timers and scenes. Then, all you must do is push a button on your device to activate that. You can set it to stay on a certain number of hours and then turn off automatically. You can also set a specific time that you want your lights and decorations to come to life. Then, set it a second time for them to go to sleep for the night. You can even automate your home lighting to set the mood for the holiday meal. Home automation gives you the set it and forget it convenience that so many people wish they had during the holiday season. You can even set your blinds and drapes to be opened and closed at certain times of the day. This will create a cozy, comfortable holiday home setting while also increasing safety because it will create the illusion and image of someone being at home even when you aren’t. It also adds to and aids in privacy when you want to be more discrete about the things you have in your home while you are away. You may be the type of person who likes to have your holiday lights come on right at sunset. If that is the case, you can create an IFTTT recipe to control your home automation so that this happens. IFTTT stands for “if this, then that,” and is a way of helping to set up and control how your automation functions. Then, of course, if you set what time those lights come on, you want to set up when they go off. So, you can create a way for your lights to come on at sunset based on the light detection. After that, you just set what time you want those lights to go off, and you are all set and for the holiday season, you don’t have to worry about manually setting on and off your lights. One of the most dangerous things that can happen is if you have a real holiday tree. If you leave those lights going while you are out of the house, you run the risk of a fire. But if you have home automation for the holidays, then you can set your light timers to coincide with your smart locks. That way, combined with motion sensors, the lights will turn off when you aren’t home and keep your tree from becoming a fire hazard. So, while home automation is on the rise, how can you implement some tips to make your home more automated, convenient, and safe for the holidays? Play around with some of the different options and see what works for you! Did you like this post? Sign up now in the newsletter to receive updates in your email box and share on your social networks!